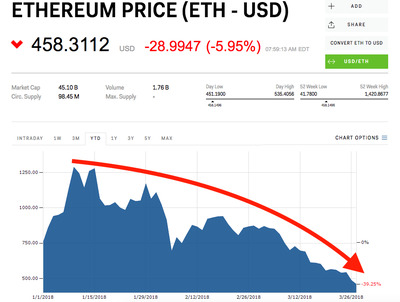 Ethereum was trading at $US451 early Tuesday, its lowest price the year so far. 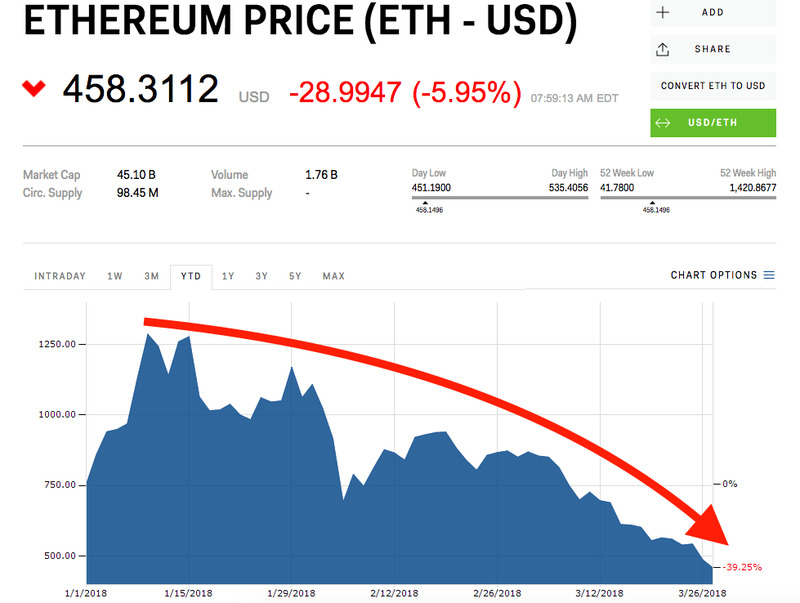 Ethereum hit its lowest price of 2018 so far, bottoming out at $US451.19 per token, early Tuesday, according to Markets Insider data. The second-largest cryptocurrency by market cap’s previous low was $US460 per token, set just over a week ago on March 18, according to historical data from CoinMarketCap.com. This year has been a marked departure from 2017 for all cryptocurrency. Even the flagship bitcoin, whose meteoric rise in 2017 led to a frenzy of investment and media interest, is down 41% since January 1. Since the beginning of 2018, the total market for cryptocurrencies has more than halved and is currently just $US301 billion, according to CoinMarketCap, after starting the year at $US608.2 billion.